Yammer is a premium team collaboration and social networking service. It can be used for an easy aid in business communication and for team management purposes. In 2019, there are several tools and applications that have been devised from a team perspective. Troop Messenger allows your team to collaborate seamlessly with its rich-feature stack. The sign-in process in this team collaboration tool is highly hassle-free, the user can simply login to the application by giving their business email id’s. With its browser version on the cloud, the user doesn’t need to download or install the application. The user interface of Troop Messenger is highly intuitive, that every feature is self-explanatory and easy to use. Flock is a team communication and collaboration system. It creates an excellent platform for communication amongst teams that are internationally based. It has a multi-lingual support base and can be operated in several languages. Discussions and tasks can be carried out by video calling and screen sharing. It facilitates direct chat facilities and can be one of the most reasonable and affordable options amongest other office messengers. Mattermost is a cloud-based, open-source communication application. It allows flexibility in the code to fit it to your needs and requirements. It supports various languages to accommodate a large number of users. It is compatible for both Android and iOS systems, further expanding the user base. Its increasing popularity can mostly be related to its open source structure. With an added feature for customizability, office chat can be taken to a new level. ClickDesk is a customer interaction and engagement platform. It mainly operates over India and US to connect brands and businesses with their customer base. It includes facilities such as live chat, voice calling and instant messaging to create an interactive platform. It is supported over a variety of platforms and even integrates with other applications to give a better experience to the customers. eXo Platform is an open source team communication and social interaction platform. It offers and facilitates a customizable form of team communication. It can be a great medium for employee interaction and collaboration. It includes several features like a customizable user interface, third-party involvement features, and a cloud-ready base. It not only facilitates social networking and productivity but can also be a useful tool for content management and collaboration. 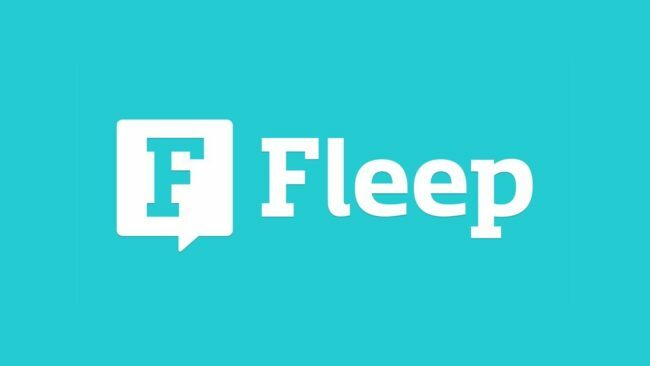 Fleep is an excellent office messenger that allows you to integrate email with the application. You can access, store and share files from your mail here in order to manage documents easily. It can be a great platform for communication and interaction with business clients via posts, messages, and conversations. You can collaborate with your team as well by sharing files, photos and setting the access for different members. 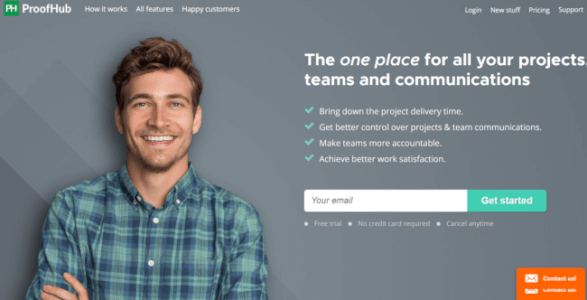 Glip is a tool with specially build features for team collaboration purposes. It can help you to manage tasks, notes and calendar details very efficiently. It facilitates video and audio calling as additional features. Team messaging is also possible with various other communication options to interact with your teams like file sharing and screen sharing. It is compatible across Windows, Android, and iOS. As the name suggests, it is a live chat desk for interacting with customers and clients. It can be a great option for customer services for businesses and brands. It is a cross-platform tool that is compatible with Android as well as Mac. It is easily customizable which makes it a great platform for interacting with customers and addressing brand issues. Discord is a voice and text chat application. It facilitates team communication mostly for the gaming community. It is absolutely free of cost. One of the convenient features is that it is compatible across various devices. It can operate both on your phone and PC for added functionality. It provides several integration options as well in order to enhance the collaborative experience for the team members. Slack is a cloud-based team chat app that facilitates real-time messaging. It is a great tool for office teams that can share their progress and be updated on the latest ongoing tasks. It facilitates file sharing, screen sharing, and other direct messaging features. Asana is a team productivity tool that allows maintaining a team schedule in a workspace. It helps to organize projects and work ideas together. One can organize, manage and track the progress of the entire time in order to remain on the same page when it comes to teamwork. It creates a medium for office chat and interaction that can be very helpful. Pie is a free team chat app that can be used for communication and collaboration of office teams. It helps to create lists in order to organize the workflow appropriately. It allows file sharing, importing and other features for easy sharing and access of data for the team members. 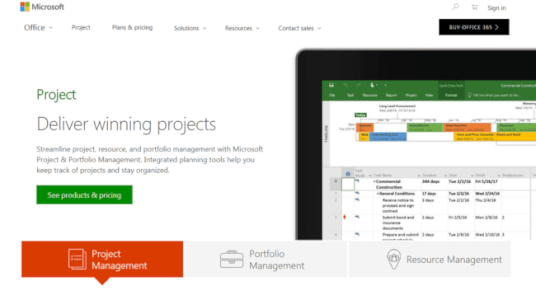 Microsoft is a team collaboration tool under the Office 365 package. It mainly stands out from the other team software due to a high-security feature. It facilitates instant chatting, audio, video calling and other integrations for business and office work. It can adapt different like of accessibility for the public as well as private conversations. Bitrix24 is a popular group chat application. It has essential features including file sharing and synchronization that can be great for office chat purposes. It allows free access to 12 members with features including tasking, video calling, and project management. ProofHub is a powerful tool for businesses and team interaction. One can share files, ideas and documents on a singular platform for an ease of accessibility. It provides various features for communication across the team and can be a great team productivity tool. Chanty is a team communication tool based on and powered by artificial intelligence mechanisms. It helps to organize workflow by arranging tasks, files, and meetings for the team. It facilitates audio and video calling along with several other business integration tools.